Choose the professionals and book our expert upholstery cleaning services in Luton. Every piece of upholstered furniture in your home is very important in that it likely gets used a lot. Whether you like lying on the couch all day, or you like having friends over for tea on the living room furniture, you need to consider the state of the upholstery. It is one part of furniture that sees frequent use. Apart from that, sometimes you may have an accident and get the area stained. All of this goes to show that you cannot do without cleaning your upholstery. When it comes to providing top results with little hassle, there is no better company than Luton Cleaning Services. We dominate the scene in Luton and surrounding areas of Watford, Dunstable and St Albans when it comes to professional upholstery cleaning. Having the right tools, many years of experience in the field and perfectly trained upholstery cleaners enables us to deliver A-class service. This is all you need to have furniture that looks as good as new at home. Dry cleaning is reserved for fabrics of delicate nature that do not tolerate any moisture. With this method, we will remove the dust and other allergens ingrained deep within the fibres of the upholstery. All of this is done without the use of any moisture whatsoever. Once our upholstery cleaners are done, the furniture will be ready to use and you will not have to worry about downtime. Steam cleaning is more of a traditional method that features specialised equipment. Steam has been known to do wonders in terms of deep cleaning fabrics and the upholstery makes no exception. With our gear, we will reach deep within the fibres of your upholstery. That is how any ingrained spoils will be removed and the upholstery will be refreshed. Many people in Luton prefer this method of upholstery as it is traditional and is proven to do wonders. 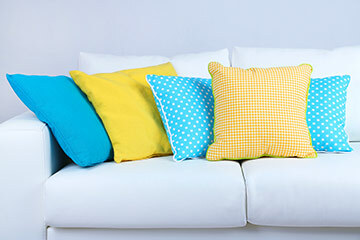 If you are not sure which type of upholstery cleaning to book with us, just call us at 020 3912 1198. Our experts will carefully listen to your requirements and needs. Then they will work with you to schedule a cleaning service that is ideal for the type of furniture and upholstery you have at home. We are confident that no matter what the task involves, we will do great. Our cleaners have great knowledge on how to properly clean to the highest standard. Aided by professional gear, they will get the upholstery in your home or office in Luton and surrounding areas to a condition as good as new. There is no reason to worry about a thing with us. Our company has already served numerous clients in the area and they all rank our services as the best they have ever witnessed. Join the club of happy customers by hiring our upholstery cleaning services in Luton on 020 3912 1198. We are ready and waiting!